The island of Cyprus is the third biggest in the Mediterranean (9,250 sq km). It is a favourite resort with an ideal Mediterranean climate, more than 300 warm, sunny days in a year, and a short, mild winter. Its mountains and beaches make the island ideal for the tourist. With a population of just over 1.1m (July 2011 est. 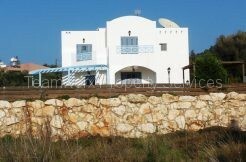 ), the majority are ethnically Greek and live in the southern part of the island. Some 200,000 Turkish Cypriots and Turkish immigrants live in the northern part of the island which is divided from the south by a buffer zone supervised by the UN. The official languages in the two zones are Greek and Turkish, but English is widely spoken and is extensively used in business and commerce. The capital city is Lefkosia (Nicosia) and the coastal cities of Limassol, Larnaca and Paphos are major business and tourism centres. The island’s location makes it a cross-road of civilizations and trade being a link from east to west and north to south. It has had a turbulent history from pre-historic times predominantly Greek culture is leavened with many other influences. Classical ruins abound, but its modern environment is Western and its business environment has been largely influenced by the British who occupied Cyprus (1878-1960). Cyprus is an independent sovereign unicameral presidential republic and its 1960 constitution safeguards human rights, political pluralism and private property. The country is a member of the UN, the Council of Europe and the Commonwealth and since May 2004 an EU member. The Republic’s economy is reasonably stable. 40% of its GNP is based on tourism (Around 3m visitors come to the island annually). The Government’s successful encouragement of the offshore sector has led to the development of a European-standard commercial and financial infrastructure and today there is no distinction between domestic and offshore companies. International links are particularly strong in the shipping and banking sectors. The cost of living is approximately 65% of the EU average. The low crime rate, good housing conditions, excellent climate and plentiful international air links make Cyprus a desirable place to live. Since 2008 the island joined the Eurozone. For most nationalities, including the EU, the Council of Europe, the USA and the Commonwealth, no visa is required for entry into Cyprus. In a few cases a visa is required but can be bought at the airport or port on arrival. Immigration as distinct from occasional or periodic visiting requires a residence permit from the immigration department, which is given fairly freely to a foreigner retiring to Cyprus, and to the senior employees of an offshore company. Non-EU foreigners, whether or not resident, require permits to acquire real estate in Cyprus, which should normally be for temporary or permanent residence. Cyprus has an excellent business infrastructure with good telecommunications; this coupled with the widespread use of the English language and a legal system largely based on English law makes the island a very convenient and effective business base. Nicosia, the administrative capital, is also the chief business centre, although Limassol, with its port, and Larnaca, with the main airport, are also significant in business terms. There are a number of local banks, but many international banks have formed Offshore Banking Units on the island and provide services to foreign or offshore companies. Business legislation in 2003 removed most distinctions between ‘offshore’ and ‘onshore’ companies. Trusts may be formed and the law is based on English trust law. Cyprus is among the low-tax countries and has tax treaties with more than 40 other countries, including the CIS and many Eastern European countries and has close links with that region. In July, 2002, as part of the Income Tax Act No. 118(I) of 2002, Parliament approved a uniform 10% corporate tax rate, to apply to all companies, plus a 2% levy on wage bills (meant to subsidise pensioners). Cyprus has also an Industrial Free Zone located in Larnaca where Businesses operating within the Free Zone are subject to minimal customs formalities; they may import plant, machinery, equipment and raw materials duty-free, while their foreign employees are liable to only 50% of the normal rates of income tax. For some time there was a restriction of 49% on foreign participation in Cypriot enterprises, but in most sectors 100% ownership is now permitted. Information and Communication Technologies (ICT) – One of the priority growth sectors in the government’s strategic development plan. Cyprus welcomes FDI to expand and/or develop projects on e-Government, e-Business, e-Learning, e-Inclusion, e-Health and overall ICT services. The sector’s advantages/opportunities to FDI are: Established great infrastructure with nodes connecting Cyprus to the rest of the world; switching to digital terrestrial TV broadcasting by 2011; Focusing on Wireless Access System Networks; Broad array of companies offering a variety of services including 50 software development companies, more than 10 internet service providers, 5 telecommunication companies and 15 web design companies; Excellent education level of the workforce in Cyprus (32.3% of the workforce of the age group 25-64 in 2010 have completed tertiary education); Over 1000 graduates in the fields of mathematics and computing every year; In the audio, visual and film production services, more than 20 companies are operational, taking advantage of the sunny weather conditions in Cyprus; Government commitment to further expansion in this sector. Shipping – Cyprus is an internationally renowned shipping centre and its merchant fleet has reached a top 3 position in Europe and 10 globally. Cyprus is at the juncture of three continents, offers advanced infrastructure and services, attractive taxation thus it is an ideal location for ship management and ownership and ancillary shipping-related companies. The European Union´s approval of a fully revised and upgraded Cyprus Shipping Taxation System in March of 2010 is a turning point for Cyprus and European Shipping. “The new Shipping Taxation System covers the three basic Shipping activities in International Shipping, namely ship-owning, ship-management, crew management and the chartering of vessels. The benefits of the new system may soon render Cyprus, the “Shipping Metropolis” of Europe. Ship-owners are exempted from Income Tax and are automatically taxed under the Tonnage Tax System. Ship-managers and charterers can exercise their option to be taxed under the Tonnage Tax System.” mcw.gov.cy. Other sources of information are www.shipping.gov.cyand www.csc-cy.org. Education – Cyprus believes in international education and has built an infrastructure where investors interested in education are welcome. The education system is harmonized to the European Standards & Guidelines for Quality Assurance and educational institutes actively participate in EU programs, like the Eurydice Network and the ERASMUS program. There is a great opportunity for new universities, colleges and research institutes to be initiated in Cyprus due to the average annual increase of 10.5% in the total number of tertiary students in the last 5 years and with almost a third of all tertiary students studying in Cyprus coming from abroad. Wellness Tourism – The Cyprus Tourism Organisation supports the development of new tourism products and services, which includes wellness tourism products and services. The main services targeted are fitness: exercise and therapy; diet: food; skin: beautification; relaxation: stress management, meditation; and culture, health education, health advice. The investment opportunities include mineral spas using the natural properties of thermal springs, gases and mud baths with healing properties; hydrotherapy centres using the properties of water, with or without chemical additives, used for therapeutic reasons; thalassotherapy centres using the natural properties of sea water, its products (mud, seaweed) and local climate are combined to soothe body, mind and spirit; climatotherapy centres using the advantages of the local climate for therapeutic purposes. Cyprus has numerous advantages for this sector and includes: the sea and sun, moderate climate and rich natural environment; exceptional sea quality which may contribute to an increase in thalassotherapy services; existence of thermal springs; world renown hotels and resorts with international marketing and recognition; already established tourism product which may be enriched and differentiated; well trained human resources with strong track record in tourism; state commitment for the development and implementation of the wellness product. In this area there are opportunities of possible partnerships between private companies and local government for the development of wellness tourism services; utilisation of EU- and nationally-funded incentives and enhancement of the prerequisites for developing the sector including training, capacity building and infrastructure. Medical Services – the government has set its aims in the differentiation and enrichment of the tourism sector by focusing on the promotion of health services. Health services tourism is a developing industry that combines medical treatment with vacation. Health services address the needs of ill tourists, providing medico-pharmaceutical care and stay in hospitals and recuperation centres. The opportunities for foreign investors are quite numerous and include the building and transfer or operating centres offering care in several fields including: pathology, general chirurgical, heart operation, plastic chirurgical, ophthalmology, gastroenterology, paediatric, otorhinolaryngology, obstetrics and gynaecology, urology, orthopaedics. In particular, centres providing these specialized services: cardiac surgery interventions, kidney transplants, renal insufficiency care, oncology services, preventive/diagnostic tests, dental examinations/treatments, surgical remedial or aesthetic surgery/treatment, rehabilitation for people who need long recovery after surgery, mental rehabilitation, rehabilitation for patients with respiratory problems, neurosurgery and other medical services such as orthopaedic, plastic surgery, gynaecology, in vitro fertilization, gerontology, rheumatology, endocrinology, dermatology, nature cure, etc. Banking and Financial Services – The Cyprus banking and financial services sector is diverse, comprising of the domestic banks, the co-operative credit institutions (CCIs), the former international banking units (IBUs), insurance companies, and other companies that offer financial intermediation services. There are many foreign banks from the Middle East, Europe, Africa and Asia that operate as subsidiaries, branches or representative offices in Cyprus. In 2004, Cyprus completely liberalised capital movements enabling the former IBUs to provide credit and full banking services as branches or subsidiaries of foreign banks.Financial institutions are regulated and supervised by three authorities in Cyprus: the Central Bank of Cyprus (CBC), which is responsible for the supervision of commercial banks and the cooperative credit institutions; the Superintendent for Insurance Control (SI); and the Cyprus Securities and Exchange Commission (CySEC). However, changes introduced by the EU’s Single Supervisory Mechanism (SSM) in 2014, saw the transfer of supervision of all the eurozone’s largest banks to the European Central Bank (ECB). For Cyprus, this meant that Bank of Cyprus, the Cooperative Central Bank, Hellenic Bank and RCB Bankwere transferred from the supervision of the CBC to the ECB. Energy – Cyprus is committed to ensuring continuous and secure energy supply whilst protecting the environment and to foster healthy energy sector competition and encourage the research and development of renewable energy technologies and production. It is important to note that Cyprus ranks number one in the world in solar energy use for water heating in households. The highly educated work force in Cyprus – and the high level of scientific personnel can be engaged in both research and business innovation and entrepreneurship, taking advantage of the Government research incentives. Thus, several opportunities exist for foreign investors to invest in the growth of R&D in Cyprus. Real estate acquisition has always been one of the best types of investment- Purchasing property in a “Paradise” place is a particularly pleasant investment, moreover, if it is located in Cyprus. The Government of Cyprus is strongly in favour of attracting foreign direct investment in the real estate or construction area, a specially for nationalities obtaining citizenship. 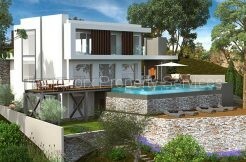 In the view of the global financial crisis and economic slowdown in Europe, the price of the real estate market in Cyprus decreased by 20-25%, providing unique opportunities for investors and buyers. 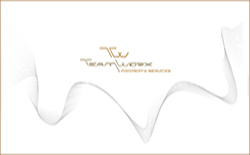 “Teamworx Cyprus Property” recommends considering investing in high-quality new buildings of high comfort, luxury properties, factories,hotels and other kind of business. Tourism is another great investment opportunity. Construction of hotels, restaurants, golf courses, theme parks, world-class yacht clubs,marinas sporting and entertainment facilities, circuses (in the meantime there is no circus in Cyprus yet!) will bring a solid and steady income. «Teamworx Cyprus Property» has a great selection of plots of land, among which the most attractive are located at the sea shore, in beautiful mountain areas, as well as in the most picturesque locations of Cyprus.